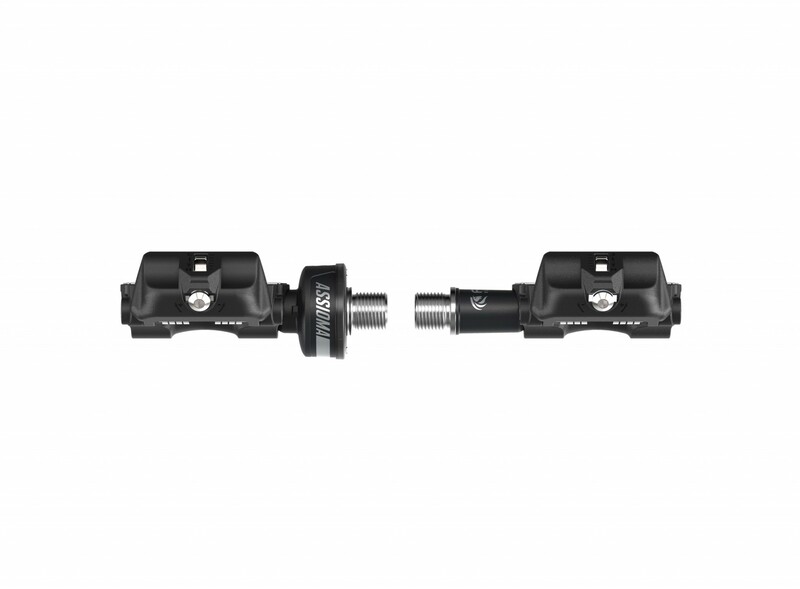 The Favero Assioma UNO Power Meter Pedals are the single-sided version of the Assioma DUO power meter. While the DUO locates a power sensor in both the left and right pedals, the Favero Assioma UNO has a power sensor in the left pedal only. It works by doubling your left leg power in order to derive your total power. It is every bit as reliable and consistent as the DUO, and because it contains just the left pedal sensor, it is priced at only $519, making it the most affordable power meter pedal you can buy. In addition, the UNO Power Meter Pedals have all of the features found in the DUO. You get ANT+ and Bluetooth SMART compatibility, a rechargeable battery with 50-hour life and of course Assioma’s +/- 1.0% accuracy levels. Yes, that’s right. Using Favero’s IAV (Instantaneous Angular Velocity) Power Technology, the Assioma UNO is accurate to +/- 1.0%. The new Assioma is also easy to install. In fact, it installs just like a normal pedal. Just grab an Allen key and screw it on. Easy as that! 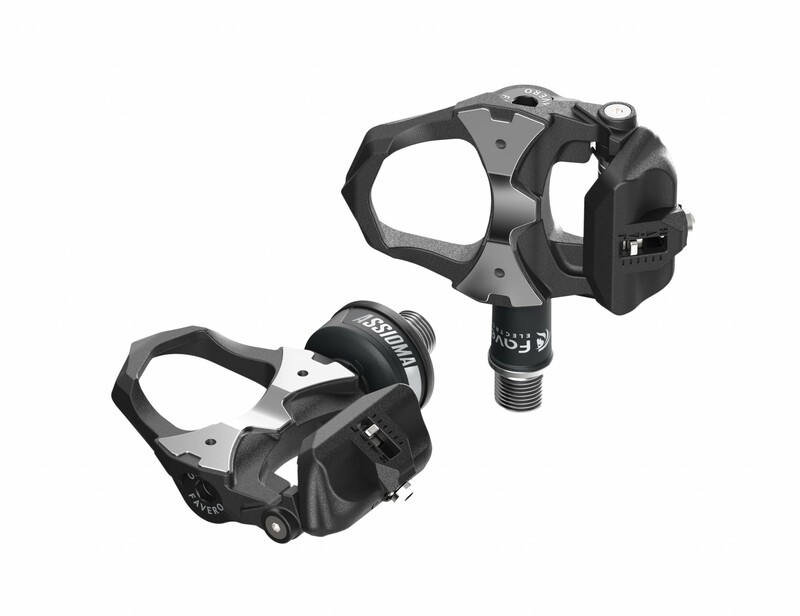 If you buy the Assioma UNO, you have the option to buy a right side pedal with a power sensor at a later date, in order to have a dual-sided power meter system. The Favero Assioma UNO comes supplied with red, 6° degree float cleats. You also have the option to purchase black, 0° degree (fixed) float cleats. 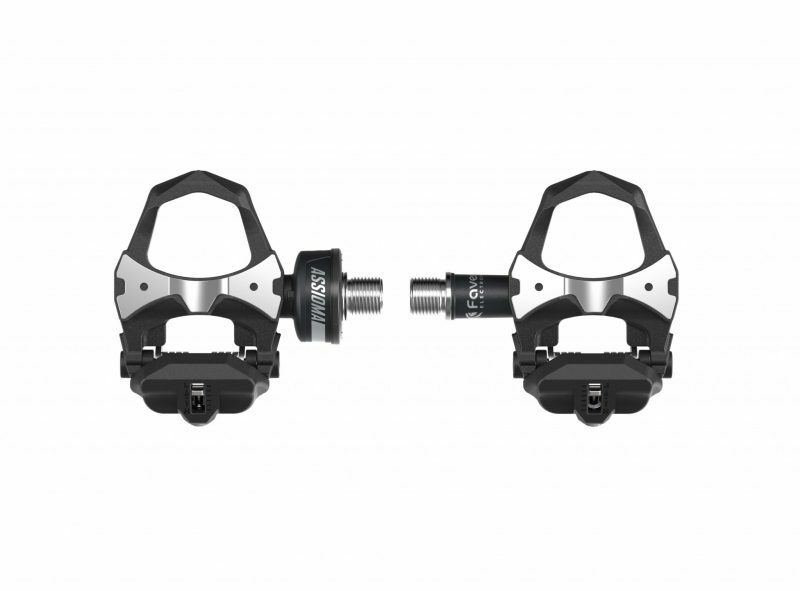 If you have LOOK Kèo original cleats, they will also be compatible with the pedals. I’ve put about 350 miles on this power meter. Installation was a breeze, Installation is super easy, like changing normal pedals. Using the app to connect the pedals to my phone was really easy and updating the firmware was simple. The charging cable was also easy to use. Paired up easy with my Garmin 510. I would recommend for the price. Hi. Thanks for the review. We are absolutely loving both the Assioma UNO and DUO and are glad you are too. It’s an amazing bit of technology for the price – accurate and really reliable. Favero did an amazing job with it. The Assioma UNO is a good power meter pedal. Easy to install including the app. Paired right up no problem with my Garmin 735 watch. Great readings for power and speed. The charge lasted about 5 rides and was easy to charge. The problem I had was unclipping. I’m a small, old female and could not clip out. PMC was supportive in helping resolve my issue. Kind and supportive. Hi Skiingsmith. Thank you for leaving us a review on your Assioma UNO. Both the DUO and UNO are quickly becoming two of our best-selling power meters – so I am glad you like it. However cleat engagement is indeed firm on them when compared to some other pedals, and we’re sorry if that was an issue. Please let us know if there is anything else we can do! I’ve had the Uno for almost a year and a half now. I use them for Zwift virtual racing and also outdoors on my road bike. I agree that cleat engagement is firm but otherwise these are a great product and I received excellent service from the folks at Power Meter City. Hi Mark. Glad you are enjoying your Assioma UNO and thank you for letting us help you out! I purchased the Assioma UNO. I’ve ridden about 500 miles with it. Zero problems. It was easy to get up an running with all my apps and bike computers. Zwift absolutely loves this power meter with my iPad. Just remember to put the pedal into single pedal mode (for the Uno or the Duo). One charge last weeks. The pedals will start flashing when they need a charge. Training with power is the final frontier. If you’re serious about getting better or just a stats nerd you must have power (or if want to use Zwift, Sufferfest. etc.) Takes all the guess work out of riding and training. Hi GPPassion. Thanks for a great review. Glad to hear you’re enjoying the Assioma – truly a great pedal – both indoors and out. Let us know if there is anything else we can help you with!